Hi guys, Today here we are sharing the ultimate trick to convert airtel 2g data pack to 3g data pack. 3G data packs are very costly, so for common people in India can’t recharge 3g data packs on their sim always. Due to the high costs and limited data amount all are users are forced to recharge 2g data packs, which are comparatively less costly. But when comes to 2g, It’s very much slow. Everyone get annoyed 2g speed. When downloading some big files, 2g speed is not enough for it. So everyone hopes to get 3g data packs in 2g cost. But Indian networks didn’t doing any such plans. They are increasing the rates of data packs daily. But Techintor.com solves all problems. Here we are sharing the way to get 3g speed on your 2g data packs. We are already shared this trick for Idea network in a previous article – ‘idea: convert 2g data to 3g data with hxvpn‘. This is the time for airtel. Download any big files in 3g speed with 2g data packs. So guys, read below tutorial and get 3g data pack speed on 2g data pack in your airtel sim. Since this is a direct trick, here you don’t need to use any vpn or other external apps. Also you don’t need to worry about sim blocking issues in this trick. This trick need little investment so please do it on your own trick. If you are looking for airtel free internet tricks, then please read this note before going to this trick. As i said above, this trick need little investment and this trick little different. if you already know about airtel direct trick then please go ahead. if you are looking for any working free internet data trick for airtel, then there exist many other working tricks for airtel which don’t need any investment. so try it also. it is completely free. In this section we are showing you how to get ‘unlimited free high-speed 3g internet on your airel sim for 1 hour’. This trick is based on airtel cyber cafe pack. Airtel cyber cafe pack: unlimited 2g data for 1 hour in your airtel sim for just Rs 5. This can be converted to high-speed 3g data with below trick. That is you can enjoy unlimited 3g for 1 hour . 2. then activate Rs 9 3G/4G pack by dialing *567# >> select option 1 [ this may vary with states]. you can see Rs 9 3g/4g pack. activate it. 3. Now quickly turn on ” air plane” mode on your device and then turn off. 4. now enable your mobile data and start enjoying unlimited 3g on your airtel number. Note: don’t disconnect your mobile data for 1 hour. Download and browse maximum data as possible within 1 hour. i think this trick will be very helpful when you want to download some large files. please share our articles on social networks and support us. use your friends or family memebrs airtel number there. 5. You are done. 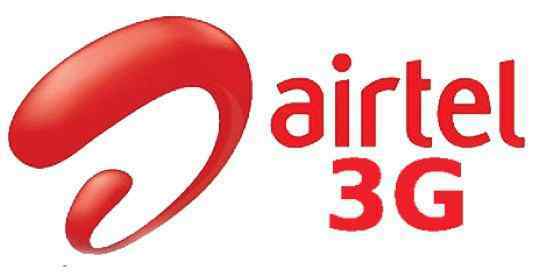 Now you can able to access unlimited free 3g internet on your airtel. here the airtel 2g unlimited is converted to 3g unlimited data. Pro Tip: Check also ‘ Trick to activate airtel 3g zero rental pack‘ . If you are able to activate this plan and u got 3g signals in your airtel sim without valid 3g data then you don’t need to do the step no.2 . ie, you don’t need to do small 3g pack rehcarge. P.S : this trick still working in many states. but for some old users it is not working well. anyway give a try. 1. First you need to recharge [ activate] any small 3g data pack. 1.1 Also recharge with any 2g data pack which is suitable to your budget. 2. Now browse [if you want to use] something until your 3g data balance get into 30-40mb . 3. Now open UC browser and download any big file [80- 100 mb] . I hope you got the trick. This trick is working in bihar, and try your states and comment below your results. If you like ‘ airtel trick to get high speed 3g on 2g data packs’ then please share it on WhatsApp and other social medias. Also keep visiting www.techintor.com , there are more stuffs waiting for you. Here are a hundred Bhagavad Gita quotes, spoken by Krishna to Arjuna on the battlefield of the Kurukshetra. install the app and win rs100 recharge free. Tmhare yaha speed aa rahi h kya…?? you do not need to recharge any 3g pack. you can get 3g speed by changing settings to wcdma or 3g. only recharge with any 2g pack and enjoy. It's working in Bihar!!! Why did you expose it in front of people ? it is working in my circle, but the internet shared balance is getting exahusted too fast, sometimes it even doesn't stays for 2mins also, what is the problem going on, plz help me out to solve this problem, i will be very gratefeul to you Thank you. mene 1din me 2gb us ki thi lekin ab speed 2g ki aa rhi h…me Rajasthan me rhta hu…yha yh kaam kr rhi h pr kush gnto k liye…plz help me vaaps kese canvart kru…..
Bhai setting me sim ko 3g ya wcdma pe set kardo. bro I recharge with 199 unlimited 2g peck and then 29 rupees 3g peck but I can't get 3 g unlimited speed?? Speed capping after 1.25 GB plz give me solution to remove capping. trick no 2 worked for me some times ….but now its not working…in odisha… i rechd 218 unlimited 2g pack then 27 3g pack… after adding family no process …its not working….what to do…i only used 300b 3g…not working ..after 300 mb 3g speed capped. Comment:Is the first step really works?mean,if company dedect this and blocked my sim then what should I do?